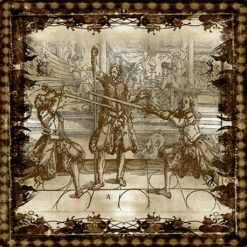 Swords have been a popular motif for costume and fine jewelry throughout time. 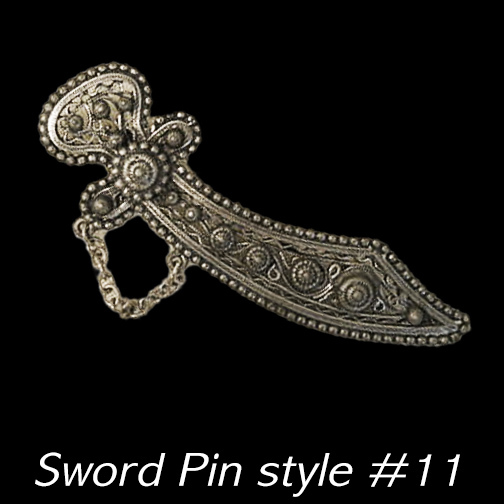 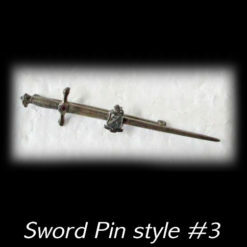 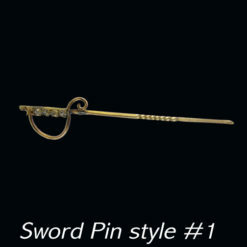 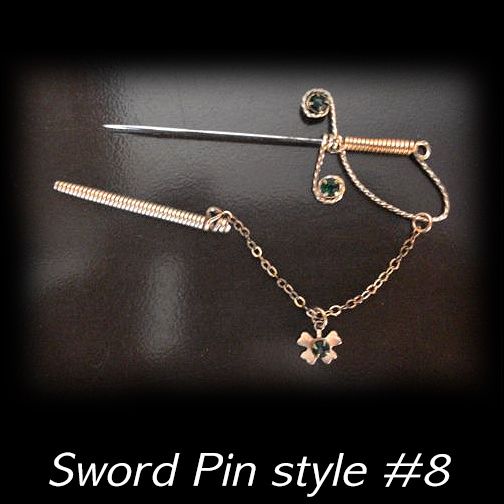 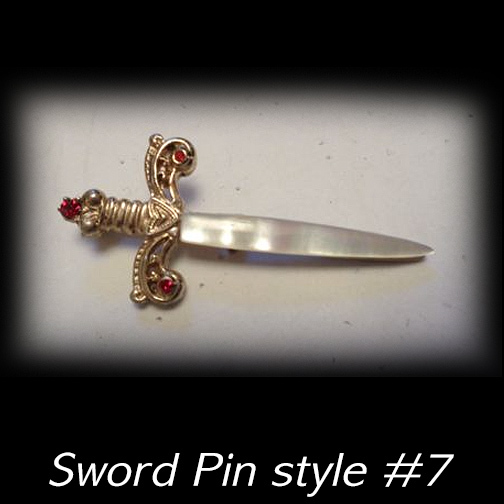 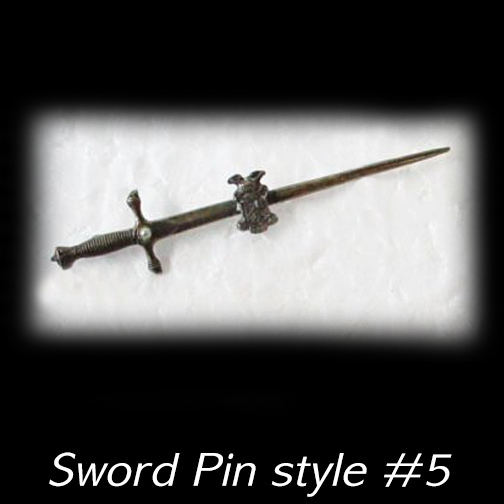 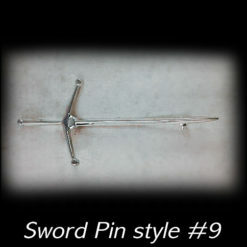 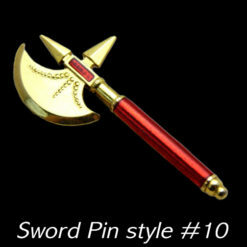 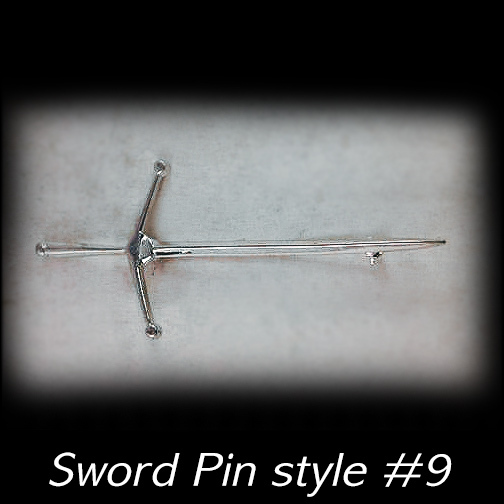 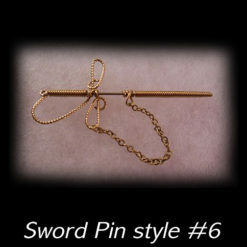 Our gallery includes vintage pieces in an ever changing selection of One-of-a-Kind vintage sword-themed pins in variety of styles A most unique addition to your lapel and a way to give any outfit a little pizazz. 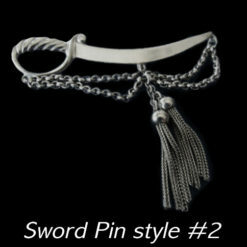 Suitable accessories for a men or women, alike and a wonderful gift for anyone in your life that has a embraced the romance of swords and all they represent. 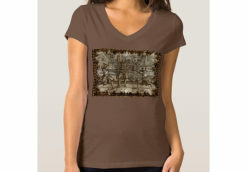 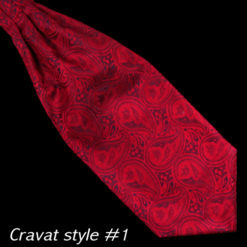 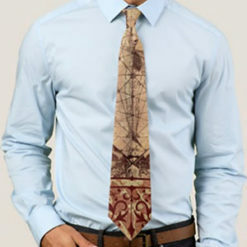 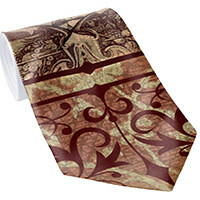 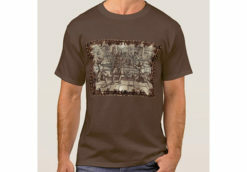 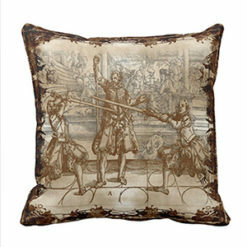 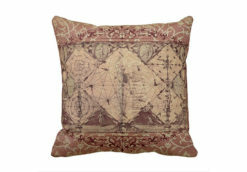 All are genuine vintage and come with typical wear of beloved things of the past. 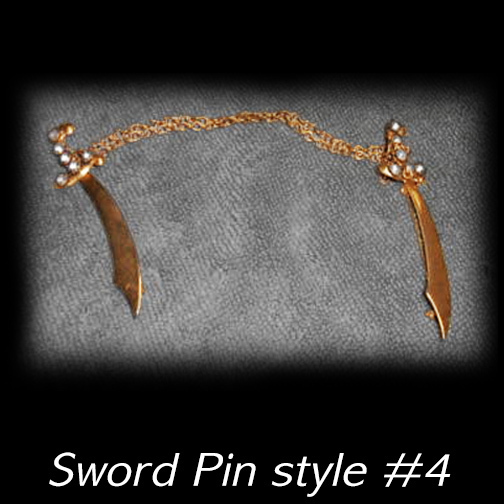 Each is in usable, wearable condition. 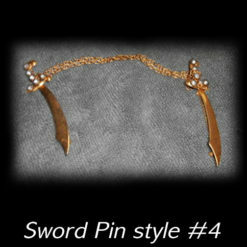 See photos for details on individual pieces. 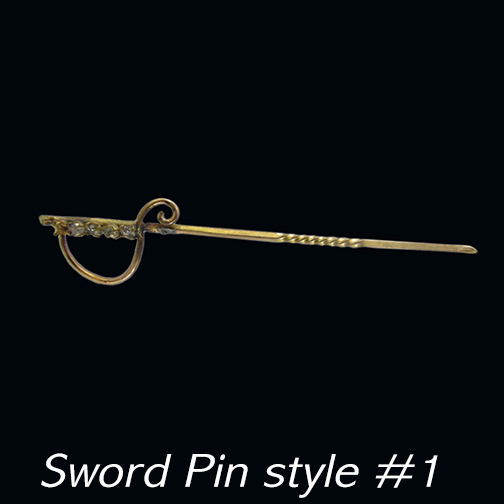 Each one comes gift boxed. 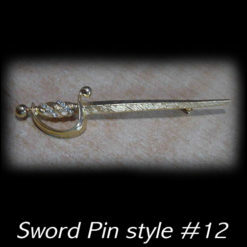 Brass or silver colored. 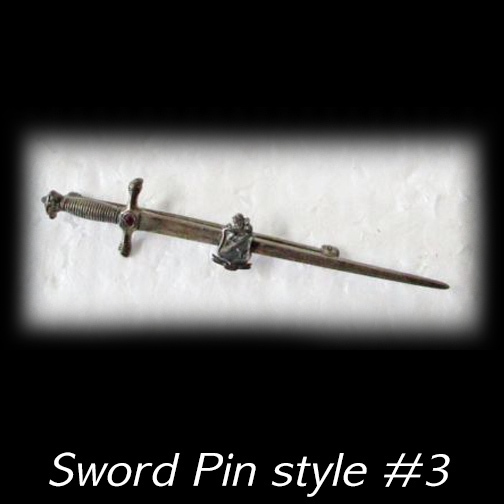 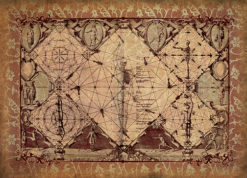 Approximately 2″ long.